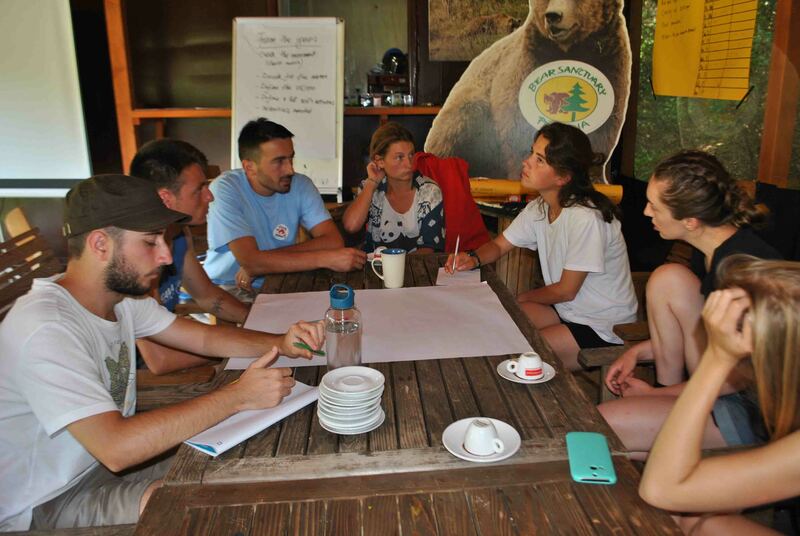 From 26th of August until 9th of September in BEAR SANCTUAYR Prishtina has been implemented a Short Term European Voluntary Service with 15 volunteers coming from Poland, Slovenia, Spain, Turkey, Malta, The Netherland, England, France and Kosovo. 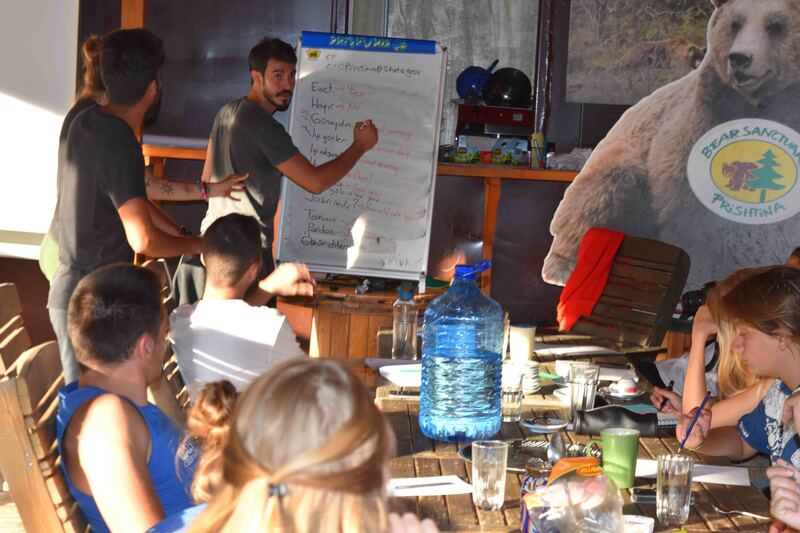 The program covered activities such as helping the keepers with their daily tasks (preparing the food for bears, feeding bears), monitoring bears at the sanctuary, collecting wild fruits for bears, arranging workshops and discussions about animal welfare and designing educational materials. The project was designed in a way that our sanctuary benefits from the work volunteers did, but at the same time volunteers were provided with opportunities to obtain some hands-on experiences, to learn from what they did, to leave space where they could contribute with their creativity and ideas and to be part of lots of discussions and presentations with their opinions. 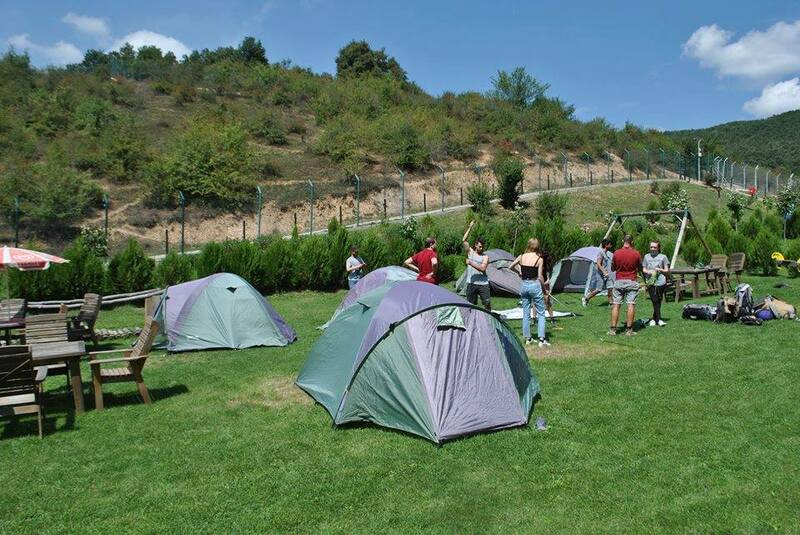 In order to ensure an effective way of work, the activities were divided into sets of specific tasks, volunteers were provided with clear instructions about the task and difficult points were highlighted. The part of organising and diving tasks was done in accordance with the qualifications and experiences volunteers had, aiming at benefiting from their experiences, but also providing them with opportunities to develop further their skills and extend their knowledge. 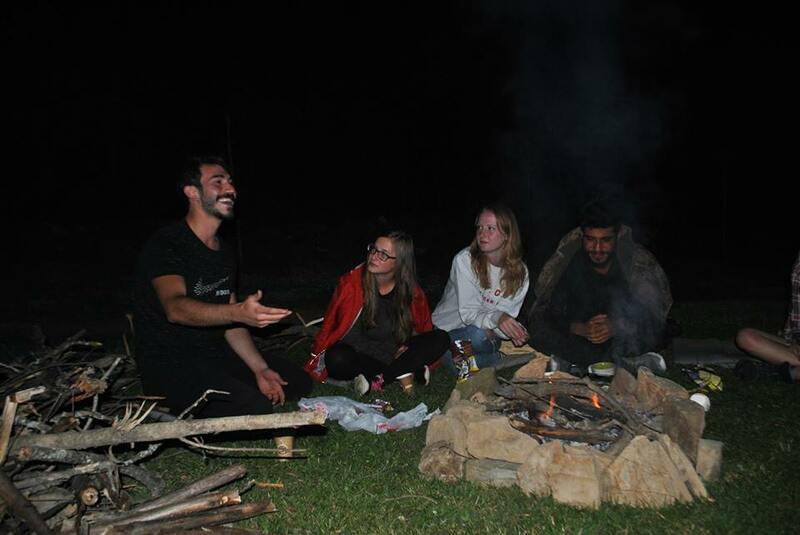 We were able to provide volunteers with a unique experience from which they had the opportunity to become closer and somehow affiliated to topics such as animal welfare. Through practical work, but also as a result of the theoretical part of the program volunteers had the opportunity to learn about some practical examples of what they either as individuals or as part of groups can do to improve the life of animals in need. The group of this year was quite a divers one, either regarding their backgrounds or their nationalities what made these two weeks to be a very good opportunity for lots of exchange between participants. 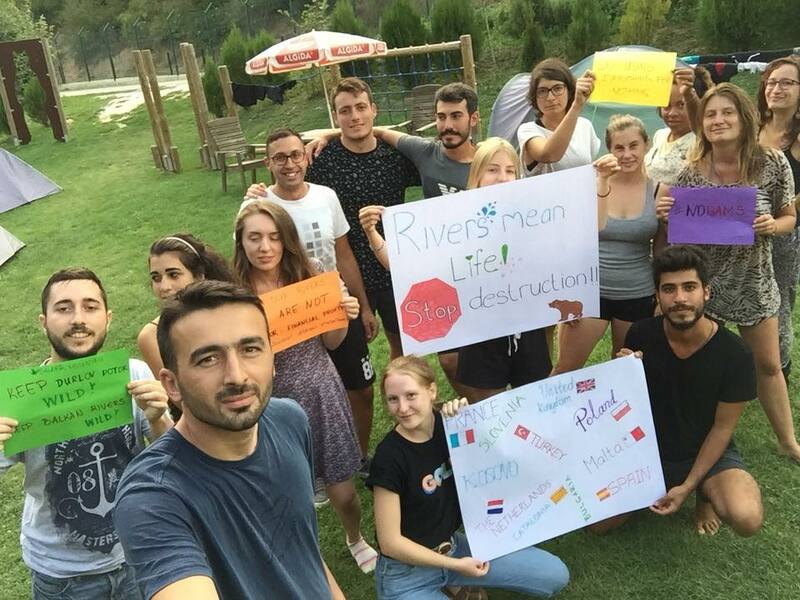 The fact that participants came from different national, religious and cultural backgrounds was a value of the project, upon which volunteers have been creating many linkages, so essential for an open attitude towards and respect for diversity of cultural expression.